Missing teeth can quickly be resolved with removable dentures, which replace the normal appearance and function of lost teeth. 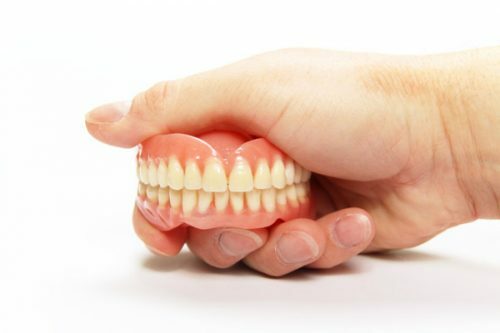 The dentures are designed to fit comfortably against the palate, so it stays in place with normal wear and use. The artificial teeth can be used for a few years in a comfortable manner – until they start to loosen. As the dentures lose their tight fit, they will start to cause discomfort for the wearer. against the palate, gums, and inner cheek areas. These repetitive movements cause uncomfortable friction which may result to the development of mouth sores. Aside from being painful, ill-fitting dentures can also cause a great deal of embarrassment to the wearer. An implant treatment at Life Dental Implants can solve loose denture problems, and the pain that this issue results to. Dental implants will be placed at strategic points in the mouth to maximise existing jawbone, and will then be used to anchor a fixed dental bridge in place. The teeth replacements will be secure, without worries of unnecessary movement as they are attached to the jawbone through the implants.